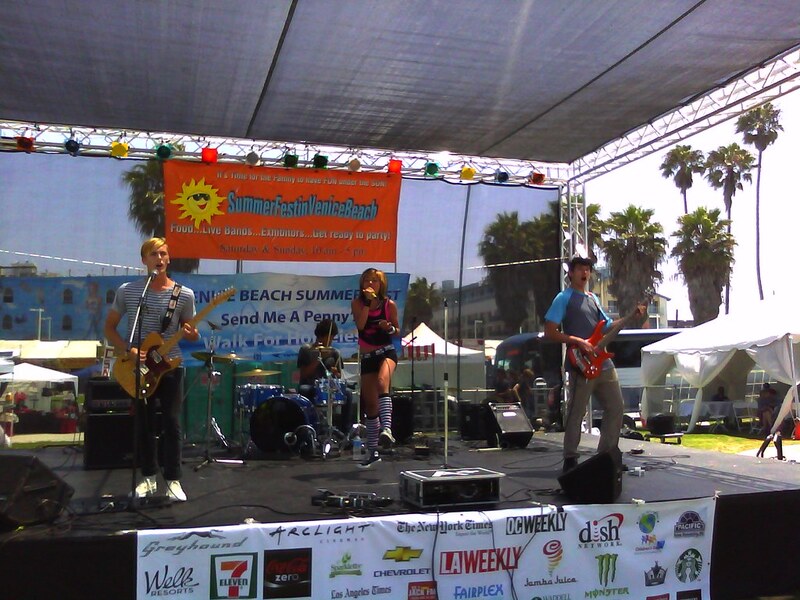 A+ Dropouts performs at last years' Summer Fest in Venice Beach. A+ Dropouts members spend their days filling their report card with A+'s but when the school bell rings, they rock the stage with their high energy shows. Their sound reflects living the life as teens on the sunny shores of the OC - fun and carefree as they sing of love and heartbreak that only kids at their age can feel because every emotion is new for them. And that's why Boy Games, the latest EP from A+ Dropouts, fronted by 15 year-old Cheska Zaide, sounds refreshing and not forced. Check out their video for "Boy Games" off their EP. And you can catch them next week when they play at Chain Reaction in Anaheim on May 18th.